High Costs of Home Health Care: Could Mexico Be the Answer? At 63, an expat friend of mine in Mexico is one of the most beautiful women I know. Flowing waist-length auburn hair, huge deep-set eyes and a figure that evokes Elton’s John’s song “Tiny Dancer.” Her attitude and thinking are just as youthful, so it was surprising to hear her talking about getting old in Mexico, and in particular about her and her husband’s plans for home health care should they ever need it. The cost of home health care in the U.S. averages $19 an hour ($10 to $36 an hour depending on your state) and is still by far cheaper than the alternatives. Having someone around to prevent falls and monitor medication can help avoid more expensive hospital stays. Assistance and its cost depends on whether the client needs simply help with daily living or requires actual medical care. In the United States, a six-hour visit by a home health aide (not a professional nurse) five days a week costs an average of $114 per day, or $29,640 per year. If billed by the hour, the costs can quickly add up, sometimes to even more than an assisted living facility. Contrary to what many people believe, Medicare does not pay for home health care past what is medically necessary, for example care after a surgery and to those who are home bound, meaning they cannot leave their homes without assistance. It does not pay for personal assistance for daily needs. The visits that are covered are short and procedural. The gap between needing some daily help and actual medical assistance is wide and expensive. My expat friends in Mexico have a rather brilliant plan. The two guest casitas that they built and presently rent out would be converted into apartments for home-health care providers to live in. Or maybe they would live in them and give the caregivers the bigger house since the stairs might be a problem for them later. The casitas and house are separated by a colorful and expansive courtyard, full of plants and flowers, with small pool to dip into on hot days, an outdoor kitchen and dining area. Her attitude about the future and her ongoing love affair with her husband, a retired police detective, recalled in me memories of watching the dynamics of my own parents’ relationship in their final years. They loved each other very much, but being a loving wife or husband doesn’t necessarily translate to being a good caregiver. When eventually someone was hired to help my father, who was going blind, Sharon, a care-provider, was much better at it than my mother was. A wife plays many roles in a marriage. It’s unfair to expect her to be perfect at all of them, especially when the roles can be so wildly disparate. My own mother was the principal breadwinner in a demanding job, raised two children with little assistance and worked to maintain her attractiveness to my father to the end. The fact that she wasn’t Mother Teresa to a very difficult spouse was easy to forgive. Nearly 10 million people in the United States, mostly over 50, have to manage the care of parents or grandparents even as they try to formulate plans and save money for their own retirement. For some like my friends, Mexico gives them an attractive option. In the U.S. the cost of putting a relative into assisted care averages about $42,000 a year. A private room averages more than $87,000. Not only are assisted-living facilities more expensive than staying in at home, they are often detrimental to the emotional health of the family member. What are the costs of having at-home care in Mexico? Always Mexico, an agency of nurses that offers the services of caregivers, charges 7,158 pesos ($360) per month for 8 hours from Monday to Friday, 10,500 pesos ($525) for 12 hours, and 21,500 pesos ($1,075) for 24 hours, five days a week. Based on the average $114 a day for only six hour visits (as compared to eight hours quoted by Always Mexico), the same home care in the U.S. would cost $3,420 a month, more than 3x the cost of care in Mexico. The cost of a registered nurse during the day could cost $2,000 dollars a month in the U.S. The cost of nursing assistants trained to do injections, handle oxygen and check vital signs ranges from 8,200 pesos ($410) per month for an 8-hour day from Monday to Friday, 12,300 pesos ($675) for 12 hours a day or 24,000 pesos and ($1,200) for 24 hours. This solution ignores pretty good-sized obstacles, like a language barrier of course. If someone were moving to Mexico and bringing an elderly parent with them, the adult child could easily learn enough Spanish to train and supervise a home health provider. For those who have to care for an aging parent or loved one. retiring to Mexico and having a home health care provider either full or part-time could make a big difference in terms of both cost and sanity. Those who have to leave their jobs entirely to take care of someone means not only losing income. They also stop accruing social security and retirement benefits and have to face the prospect of their work skills being rusty if they return to work. If the adult child or grandchild could work remote from Mexico and hire a home healthcare aide at this greatly reduced cost, they might be able to reduce the skills atrophy of leaving the workforce as well as save money. There are many ways to work it in Mexico and obviously many variables, language ability and temperament of the loved one being only a few. If the general kindness of the Mexican people is any indication, I would venture that the chance of finding a compassionate health care aide is exceptionally good. Combined with the overall lower cost of living, the savings could leave survivors in a much better financial situation for their own retirement years, even if they chose to return to the U.S. some day. Knowing they can afford to hire a home health care provider, even someone (or two) to live on the premise full-time if warranted, keep my friends both looking forward to the future. Rather than the prospect of caring for one or the other 24/7, they can look forward to maintaining that enviable love affair to the end. PROFECO is Mexico’s Consumer Affairs Office. PROFECO warns that in Mexico people sometimes post business cards of people offer nursing services at the pharmacy counter. People sometimes call these people for rates without researching if they have professional training, what their specialty is, if they are supported by a company, or asking for a letter of recommendation. Having a business card posted does not mean they are not professionals, but two important things have to be considered: healthcare training and safety. The PROFECO offers the following excellent advice on hiring home health care aides, and steps you should follow no matter what country you live in. 1. Ask the doctor about the specialty or the degree of training that the healthcare provider needs for the family member to receive the appropriate care. 2. If you go to a company that specializes in nursing services, make sure that you have personal references (address, telephone) and work (letters of recommendation), and previous work experience). 3. Even if someone you trust recommends a someone, you should check their address, phone number, formal training, and request references. In order to provide a quality service, better providers in Mexico make random visits in staff at the patient's home to supervise their work, presentation, punctuality, interrelation with the patient and the family. 4.Consumers have the right to be shown official documents that prove the academic training of the health care aide or nurse before they hire. 5.Do not underestimate the work of a nurse; If your relative is bathed, combed, shaved and dressed in clean clothes, took their medication and ate at the appointed time, it is because the nurse did her job. Do not assign tasks outside their job. 6. Even if you are asleep, the nurse must be attentive to the needs of their patient. When you hire through a company, if you are not satisfied with the service, or you feel that your loved one is not comfortable with the nurse, you can ask the company to replace that aide. I’m not sure if all these points, such as the right to ask for proof of credentials, is the same in the U.S., but it sure should be. Not so crazy an idea? While moving to Mexico may seem like an extreme solution for a caregiver, people do it. Ventanas Mexico has had several inquiries from single people mentioning they are moving to Mexico with elderly parents. Financial planning articles edge close to admonishing readers not to sacrifice their own retirement security for the education of their children or caring for their elderly parents, as if it’s a choice. Unspoken is the question of morality, not to mention love, at the heart of the decision to leave a job or go into retirement savings to take care of someone who took care of us, perhaps making their own financial sacrifices. None of these articles mention options like moving to Mexico and the options I've described here. I think they should. Related links: Cash-strapped seniors look to Mexico for affordable assisted living by NPR. Disturbing news about quality of Medicare managed care networks by Retirement Revistited. Another article by the blog, Retirement Revisited on the chances of needing long-term care. A guide to medical care in Mexico by Monica Paxon. Most recent: Think you've tried everything when it comes to facials and "rejuvenation"? Here's the scoop on the world's safest injectible. Recently updated: A boring topic I know, but it's better than the excitement of a $500 electric bill. Read about how electricity is billed in Mexico before you think about renting long term in a coastal or warmer climate region. 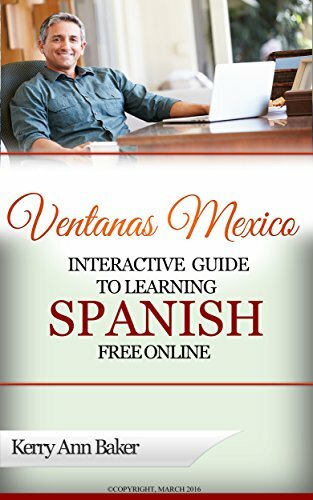 Kerry Baker is a partner with Ventanas Mexico and author of the "Interactive Guide to Learning Spanish Free Online," curated tools and lesson plans for learning Spanish from your e-reader, laptop or tablet (like the Amazon Fire) via interactive links. Over 300 sites were researched to give you the best 90 or so free features from the best language websites on the web. Create your own lesson plan or use those in the book to have a unique learning experience every day. 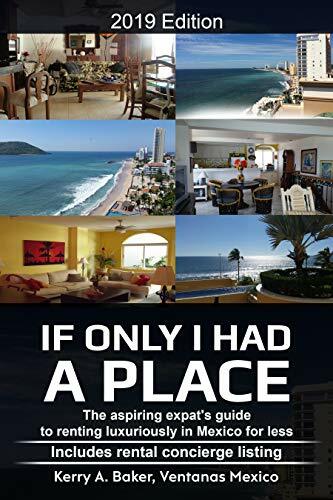 She recently released "If Only I Had a Place" a guide to renting luxuriously in Mexico and includes a listing of rental concierges. "If Only I Had a Place" is more than a how-to rent. It's a system that will guide you towards the richest, most holistic expat life.